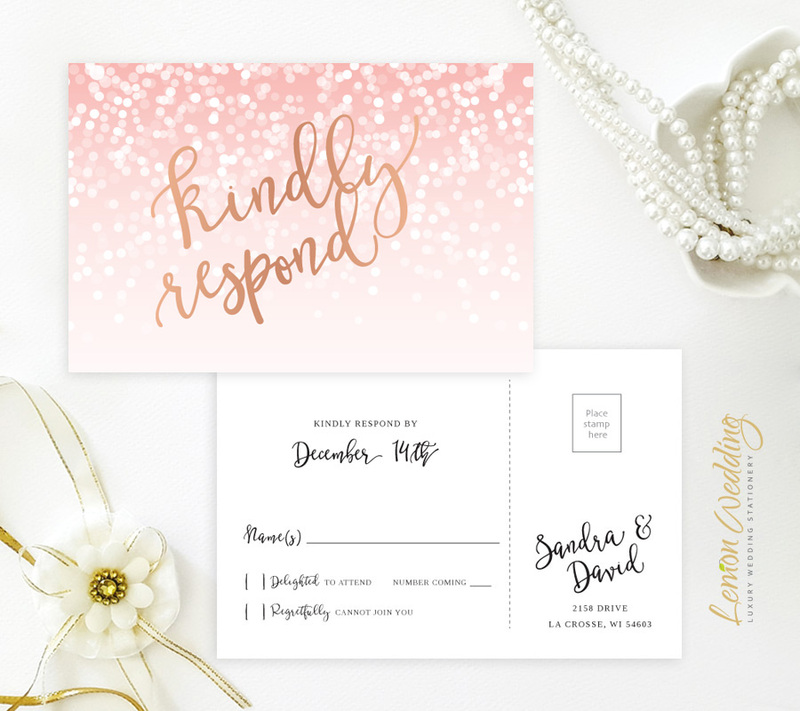 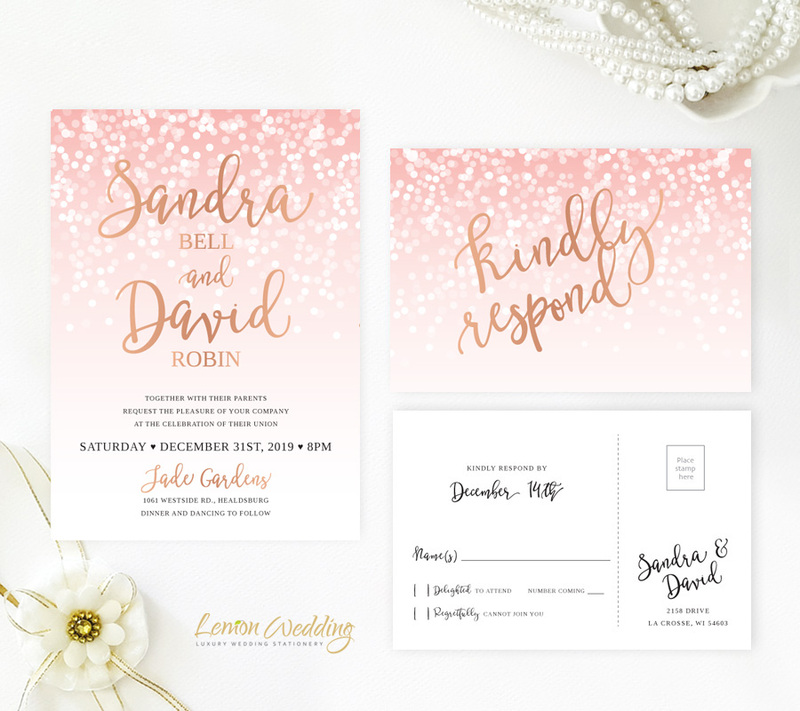 Capture your friends and family’s attention when you announce the details of your special day with our Pink and Rose Gold Wedding Invitations. 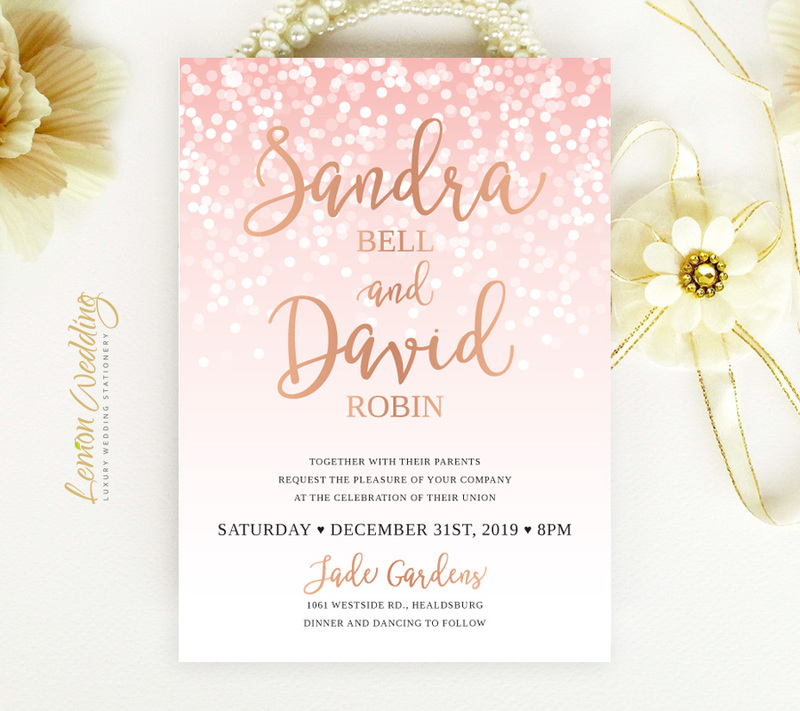 Our rose gold invites are decorated with a pink gradient background layered with a sparkling dot pattern and shining gold font. 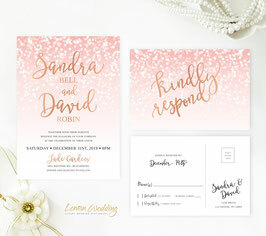 This invitation set includes wedding invites and R.S.V.P cards printed on premium card stock.